WASHINGTON — The maiden flight of Vega C, Europe’s next-generation light-lift vehicle, has slipped to early 2020, a change the manufacturer linked to 2019’s busy launch schedule. “The postponing is connected with the four launches of Vega in 2019,” he said. This year will mark the highest number of Vega rockets launched in a single year, barring any delays of those four launches. The first is scheduled for March 14 with the Italian Space Agency’s PRISMA Earth observation satellite. Coccon said the second Vega is slated for around June, followed by the latter two by the end of November. Coccon said Vega C hasn’t encountered any development problems that would delay its first launch. 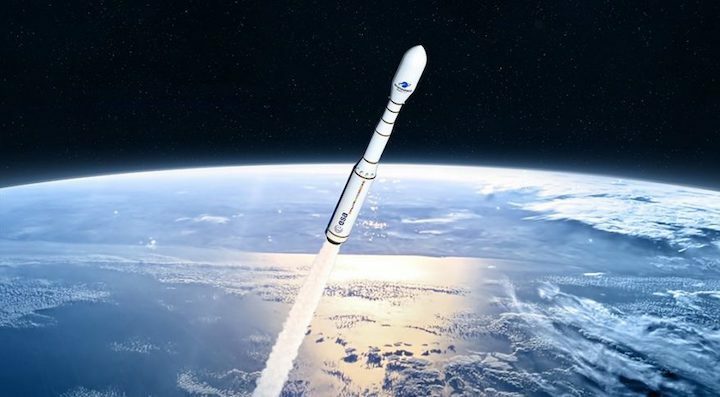 The European Space Agency revealed that Vega C’s debut has been delayed to “the first quarter of 2020” in a March 11 news release focused on the successful completion of the rocket’s critical design review in February. That step means Vega C is “ready to complete manufacturing and final testing as part of the qualification phase,” ESA said. Qualification testing will confirm Vega C’s design and manufacturing, assembly and flight hardware and software, and associated ground support systems, ESA said. Vega C is designed to carry 2,200 kilograms to a 700-kilometer polar orbit, about 700 kilograms more than the current Vega launcher in use today. The upgraded launcher will also feature a larger payload fairing — 3 meters in diameter instead of Vega’s current maximum of 2.6 meters — and a fourth stage with more propellant tanks, lighter structures and more European-made components. Italy leads the development of Vega C, with participation from Austria, Belgium, the Czech Republic, France, Germany, Ireland, the Netherlands, Norway, Romania, Spain, Sweden and Switzerland.